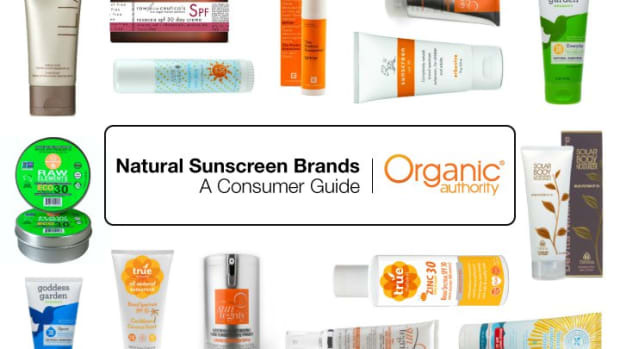 Update: You can find our most recent guide to the best natural sunscreen products here. 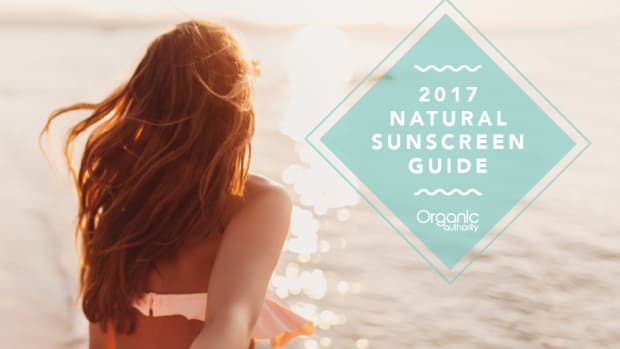 Note that we review many of the same products every year to ensure that they still fit our criteria for natural and safe sunscreen products. Have you heard? Mineral sunscreens are the most effective form of UV protection. 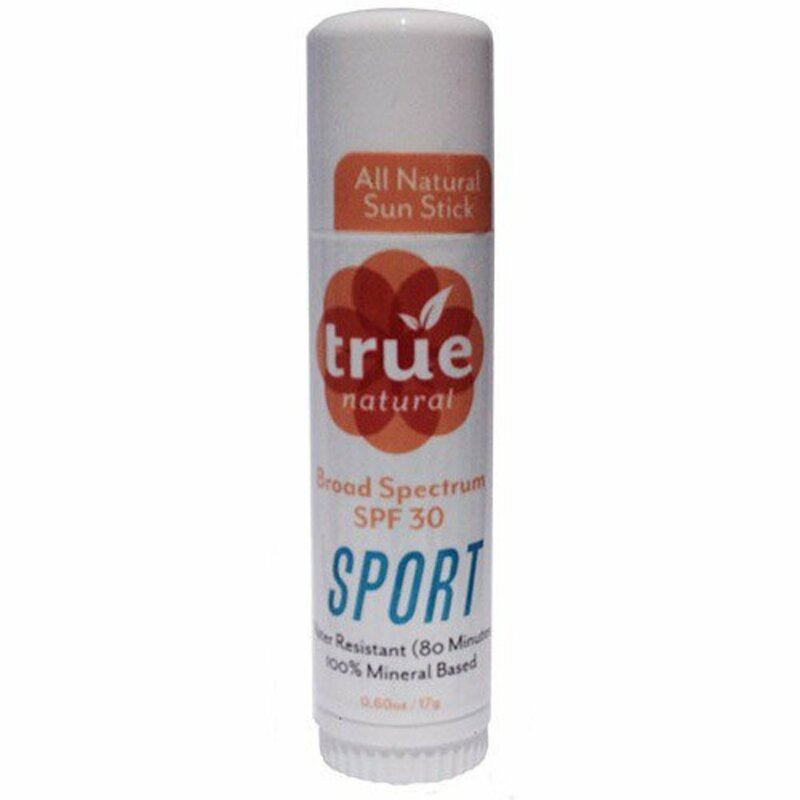 You can pick up a tube of mineral sun protection at pretty much any supermarket or drugstore. But did you know that not all mineral sunscreen products are safe? It’s true. Just because a product contains mineral sunscreen ingredients doesn’t mean it is free from harmful ingredients, including chemical sunscreens. Mineral sunscreens, zinc oxide and titanium dioxide, are more popular than ever. And for good reason. These minerals create a physical barrier on the skin, blocking both UVA rays (those that cause wrinkles and skin cancer) and UVB rays (those responsible for sunburn). Mineral sunscreens are effective the moment they are applied, unlike chemical sunscreens which require approximately 30 minutes to become effective after application. 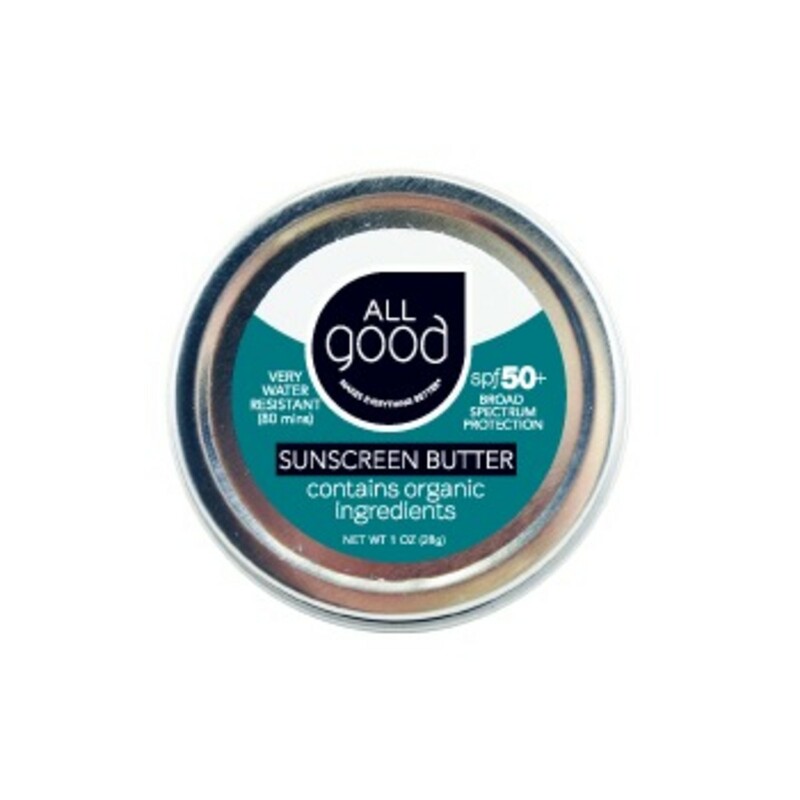 Have you noticed, many mainstream brands are now adding mineral sunscreen ingredients to their sun protection line up? The problem with this practice is, if they are simply adding mineral sunscreens to their products, rather than reformulating to safe products, they may still contain harmful chemicals, including not only synthetic emollients, preservatives, and fragrance, but chemical sunscreen ingredients too. 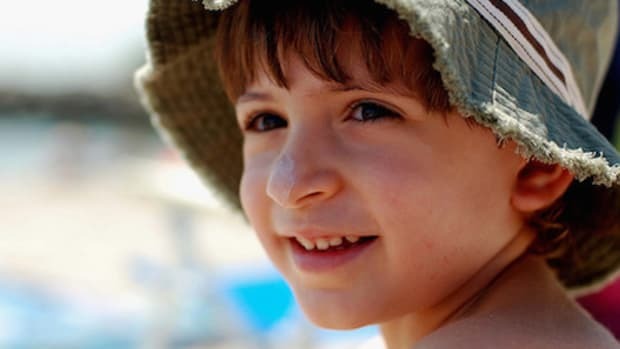 Chemical sunscreens have been found to accumulate in body fat and breast milk, and have even been linked to such hormonal disruptions as early onset puberty, low sperm count, and breast cancer, as well as allergic reactions. These ingredients are also less effective in doing their job of protecting against UV damage. Chemical sunscreens work by absorbing UV rays, allowing UVA rays to penetrate into deeper layers of skin. Mineral sunscreens form a barrier on top of skin and reflect UV rays. 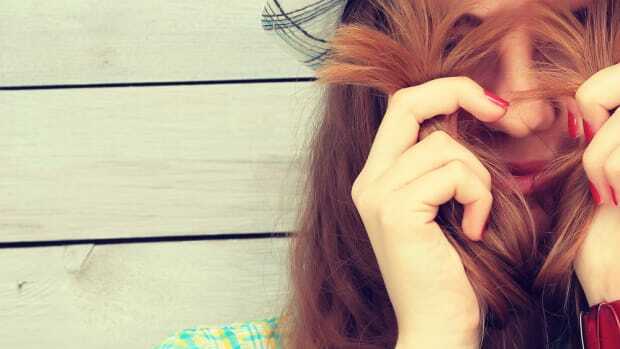 It has also been shown that some chemical sunscreens oxidize under the sun, causing potential free radial formation which could lead to premature aging and even skin cancer. 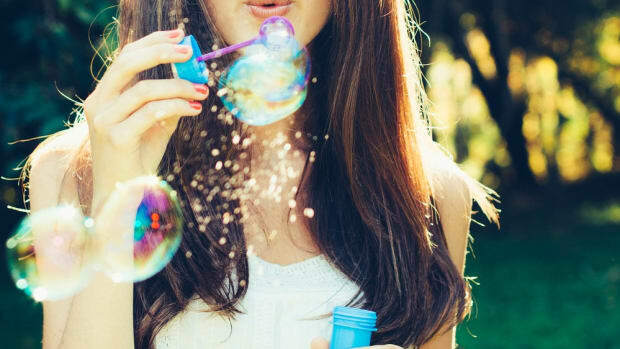 To steer clear of chemical sunscreen ingredients in UV protection, look for Oxybenzone, Octinoxate, Homosalate, Octisalate, Octocrylene, and Avobenzone on ingredient lisitngs. So why would a cosmetic brand add mineral sunscreen ingredients to a sun protection product that contains chemical sunscreen ingredients? Yes, you will get the physical barrier you don’t get with chemical sunscreens alone. But, sadly, this is also a marketing strategy. If it says “mineral sunscreen” on the label, the hope is that more consumers will believe it is a safer choice and buy the product. Organically produced ingredients are free from pesticides and other harmful chemicals, making them a healthier and safer choice over conventionally produced ingredients. But it is important to keep in mind that not all products containing organic ingredients are completely organic. There are three levels of organic labeling. “100% Organic” means a product is made entirely of certified organic ingredients. A product labeled as “Organic” must contain a minimum of 95% organic ingredients. “Made with organic ingredients” means a product contains at least 70% organic ingredients. Both “100% Organic” and “Organic” products may display the USDA Organic seal. “Made with organic…” products may not carry the seal, but are allowed to list up to three certified organic ingredients on the front label. Products made with less than 70% organic ingredients may list organic ingredients on the back label only. 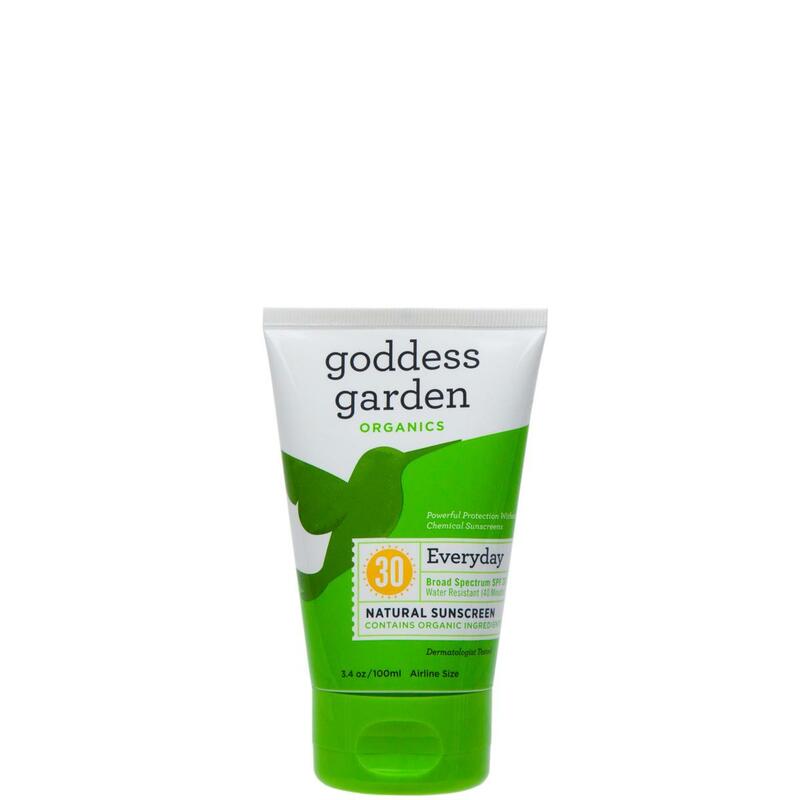 For easy identification, we have noted which sunscreens in our guide are Certified Organic or made with organic ingredients, and added an asterisk by the product name. 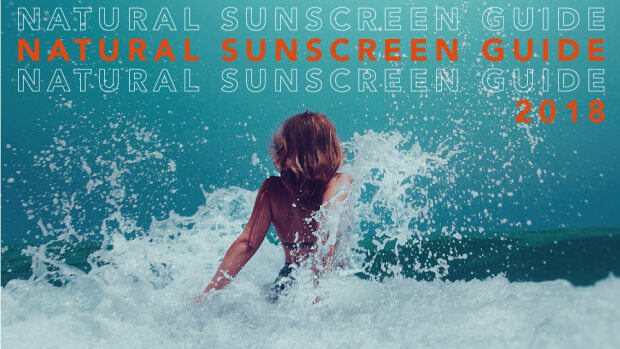 Mineral sunscreens zinc oxide and titanium dioxide are exempt from the National Organic Program, so none of the following will be 100% Certified Organic. 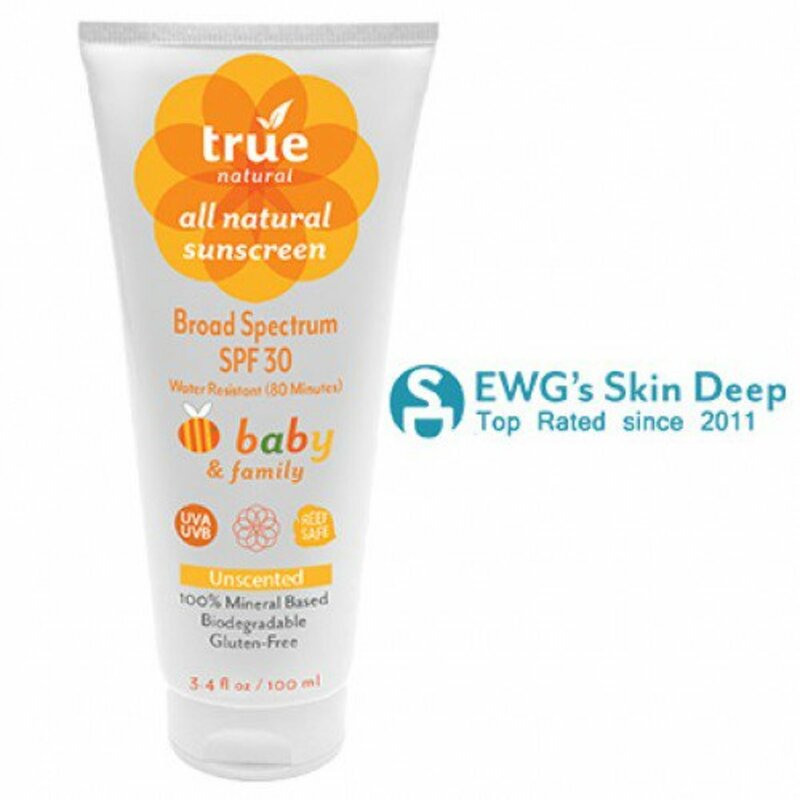 If you check the Environmental Working Group (EWG) Skin Deep Sunscreen Guide each year, you’ve noticed some very mainstream brand names on the list. 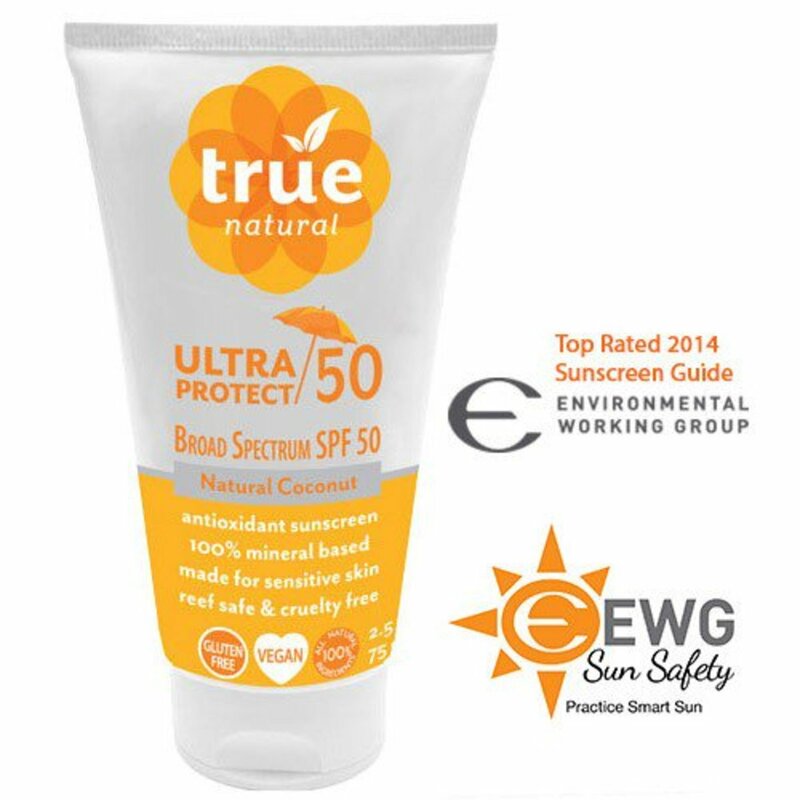 The EWG Guide provides detailed information on the best sun protection in each category, including mainstream brands, ranked by health hazard, UV protection, and stability. But some sunscreens on the list with low hazard rankings contain ingredients, like silicones and synthetic preservatives, that may not be ideal for your skin care needs. This is one more example of why it is important to read product ingredient listings to see exactly what’s inside. If all you are looking for is the most effective form of sun protection, you may think any old mineral sunscreen will do. But there is more to a safe sunscreen than minerals and the SPF number. There are two reasons even mineral sunscreens can fail to protect against sun damage. If you plan to partake of more than incidental sun exposure, you need a broad spectrum sunscreen. 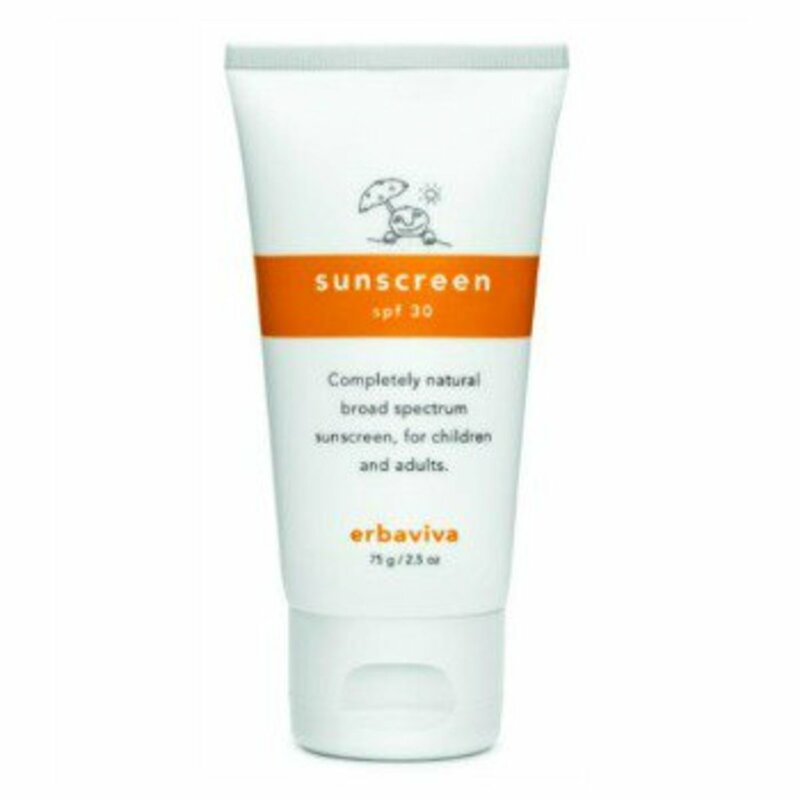 “Broad Spectrum” refers to a product’s ability to protect against both UVA and UVB rays. The European Union determines broad spectrum protection by the ratio of UVA to UVB protection, requiring one third of the SPF number to be UVA protection. Products that provide protection against both types of rays and have an SPF value of 15 or higher may be labeled “Broad Spectrum”. Products that carry an SPF value of 2 to 14 may not be labeled “Broad Spectrum”. For UVA protection, the American Cancer Society recommends using an SPF of at least 15, while the American Academy of Dermatology recommends SPF 30. The second reason sunscreens seem to underperform is user error. It is important to apply an adequate amount of sunscreen. The American Academy of Dermatology recommends applying one ounce (about a palm-full) to all exposed skin. And don’t forget to reapply every two hours, and after swimming or sweating it off. 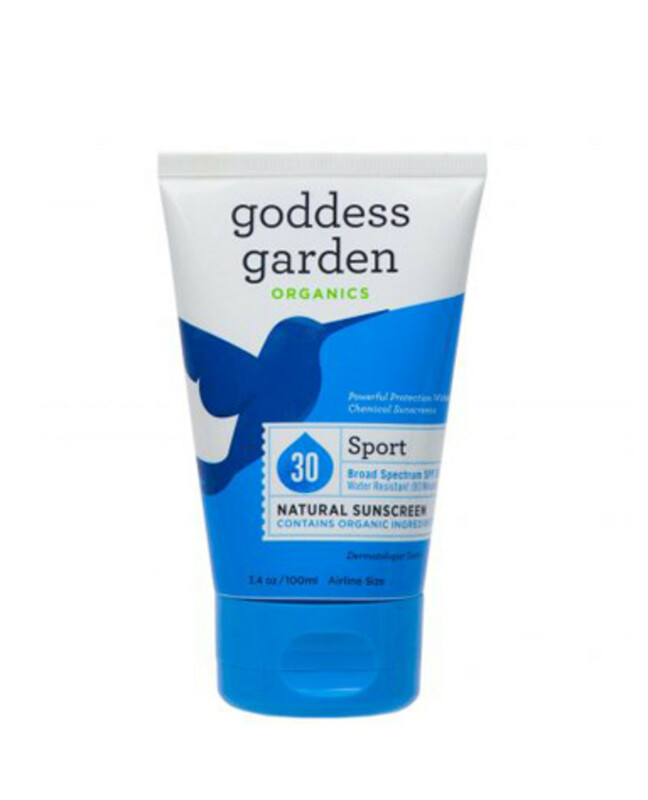 Here are our hottest sunscreen picks for the hot season for face, body, baby, and sport. We even have a section for pets this year! They are all not only mineral sunscreens, but made with healthy, natural ingredients too. We have your back. And so will these sunscreens. Sunscreens are listed in alphabetical order by category. Numbers do not reflect a ranking. You’d be hard pressed to find a woman that doesn’t use some form of facial sun protection these days, at least some of the time. That’s because it is so easy. 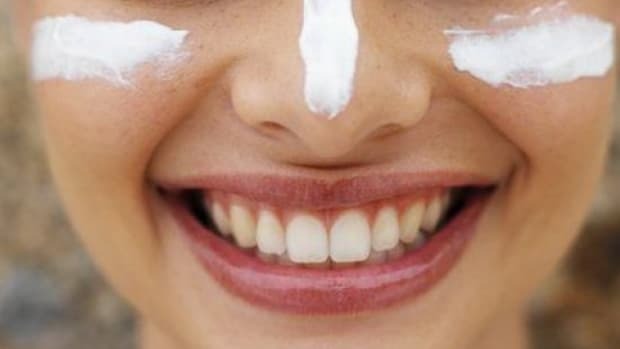 You have your choice of facial sunscreen, facial sunscreen with moisturizer, tinted facial moisturizer with sunscreen, and foundation with sunscreen. Who wouldn’t cash in on that kind of goodness? Why not use the same sunscreen on face and body? Facial sunscreens are designed to be extra gentle on skin and are usually more matte, making it easy to apply makeup over them. 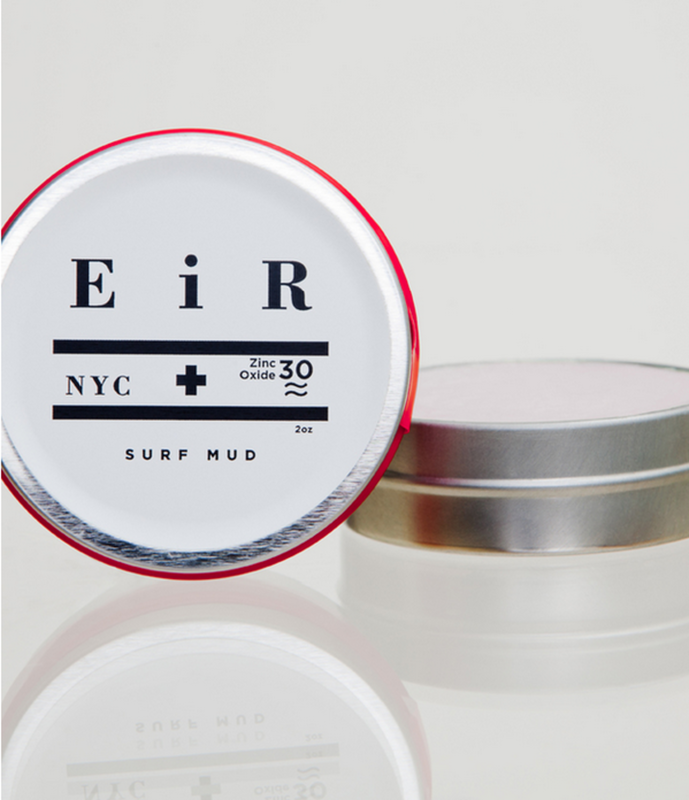 We’ve scoured the green beauty world for those with the least greasy feel and white cast. 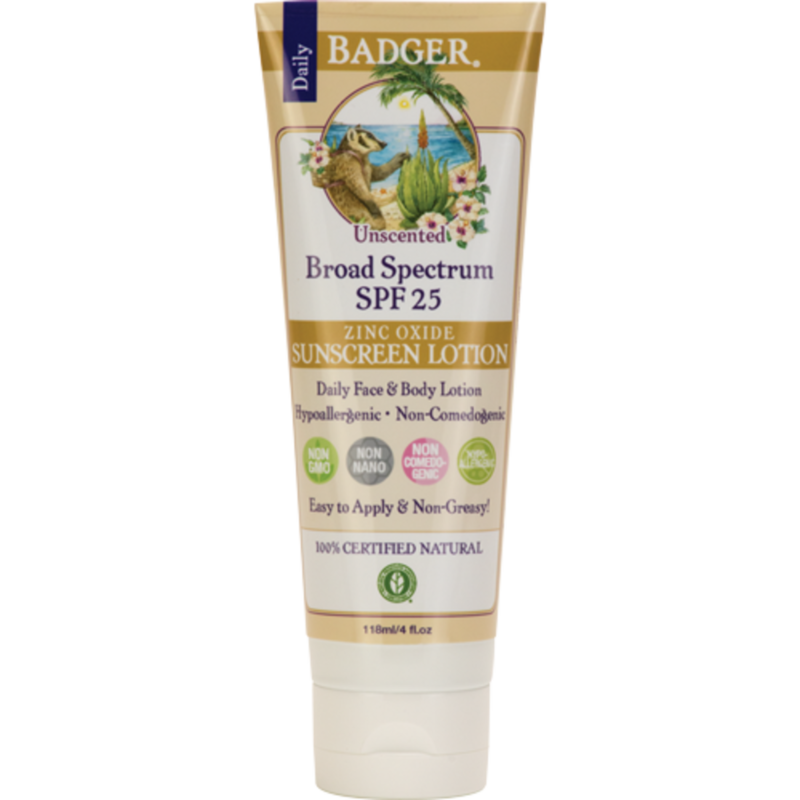 A weightless formula that smooths easily onto skin, Badger sunscreen for face leaves behind no whiteness or greasy feel. 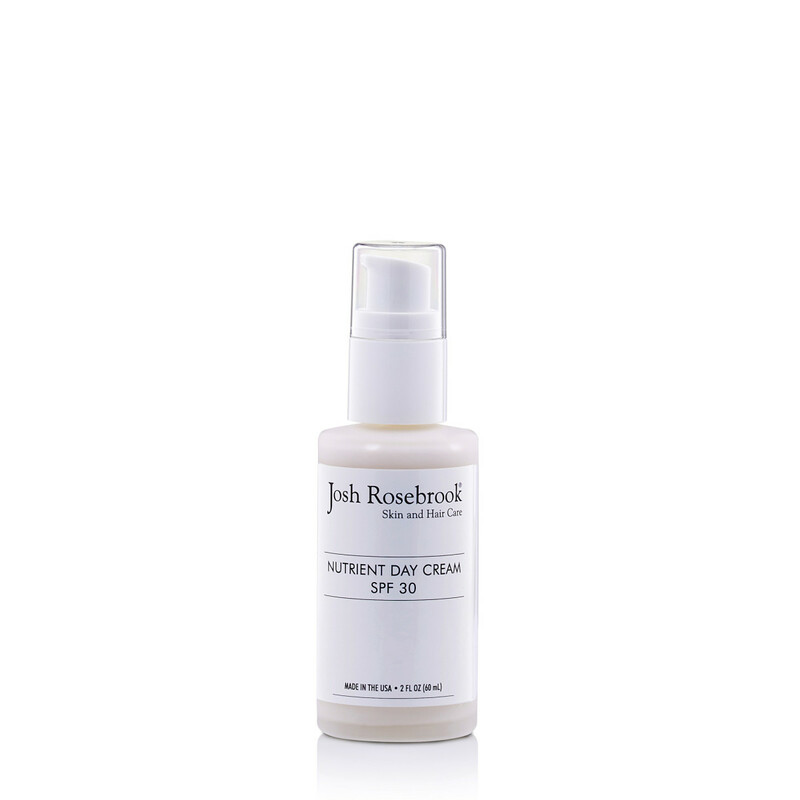 A lightly hydrating moisturizer that gives a matte finish and carries a mild, floral scent. This one makes a great daily go-to. 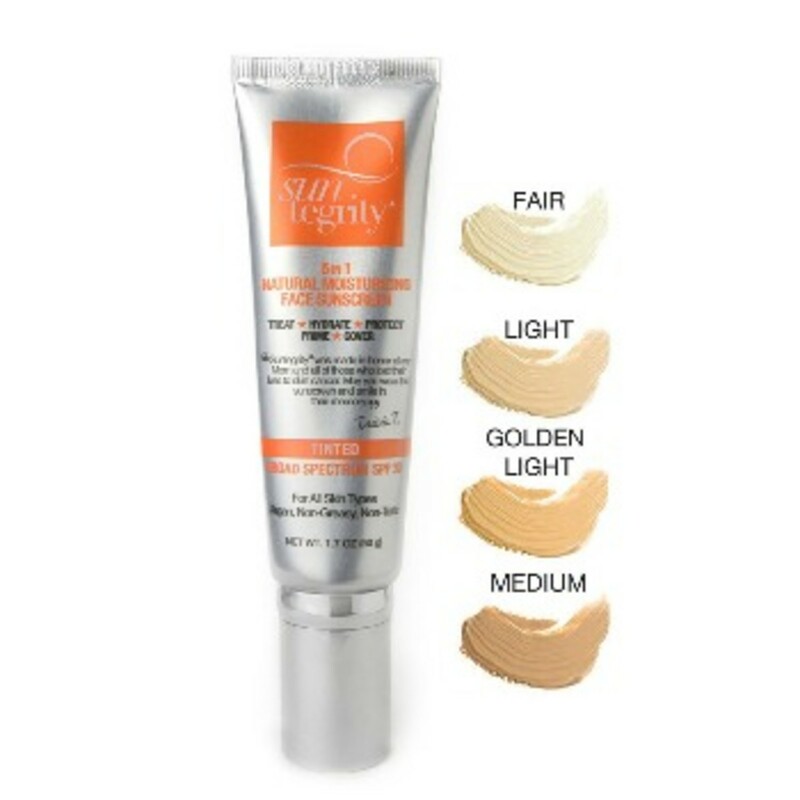 For super light, blendable coverage with UV protection, this is it. 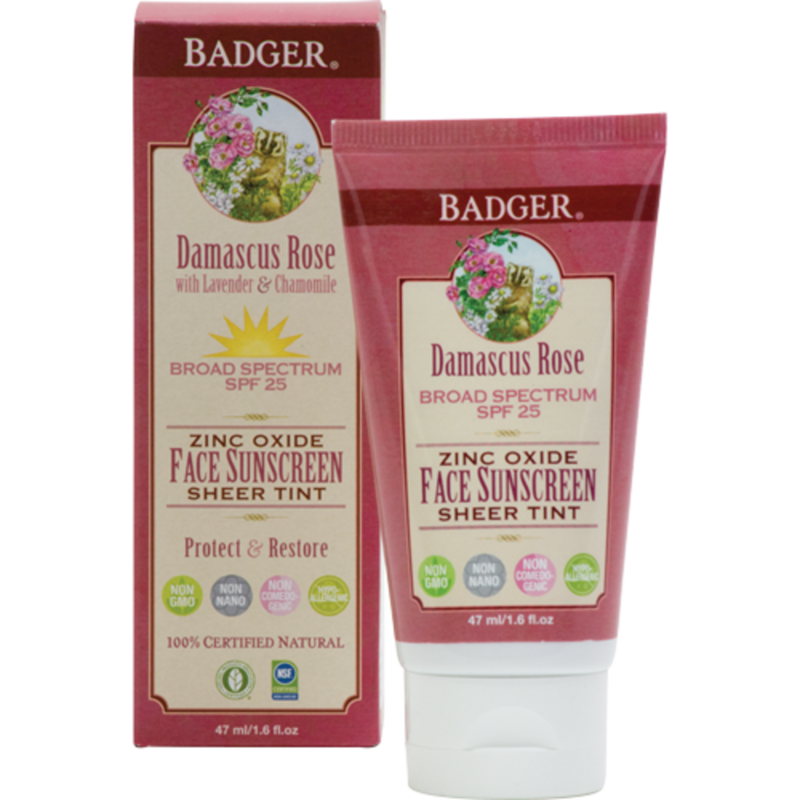 Badger tinted sunscreen for face diminishes redness and evens skin tone with sheer, natural color. 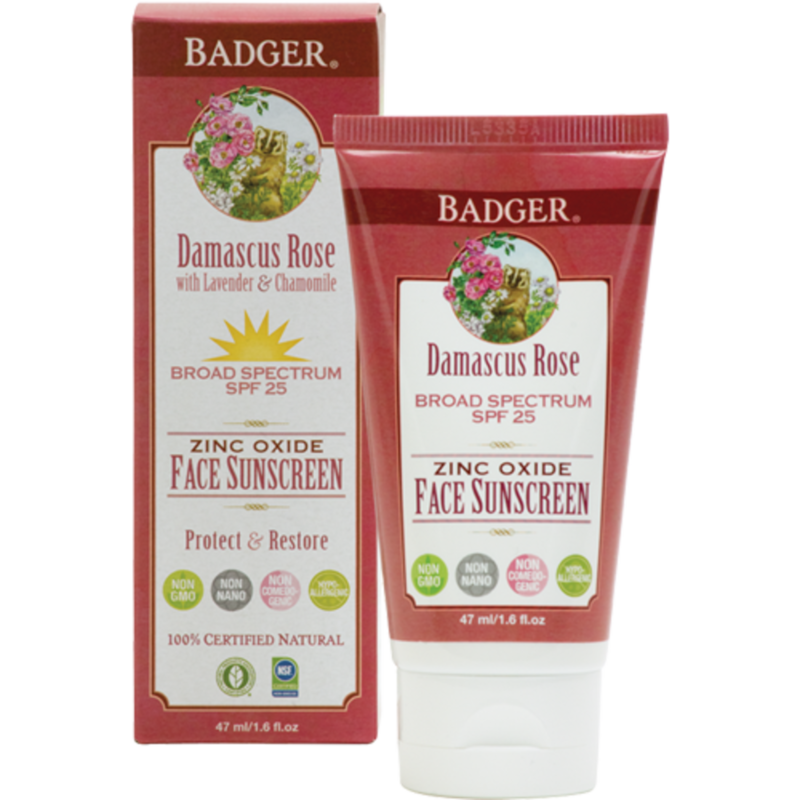 Lightly hydrating without being greasy, this sunscreen carries the same rose and lavender scent as Badger non-tinted facial sunscreen above. Ilia Beauty is a high performance natural makeup line and this product will not disappoint. Ilia Beauty Sheer Vivid Tinted Moisturizer SPF 20 offers the big three: moisturization, light coverage, and UV protection. Made with all natural anti-aging and skin supportive ingredients, this over achiever comes in six ultra natch shades. 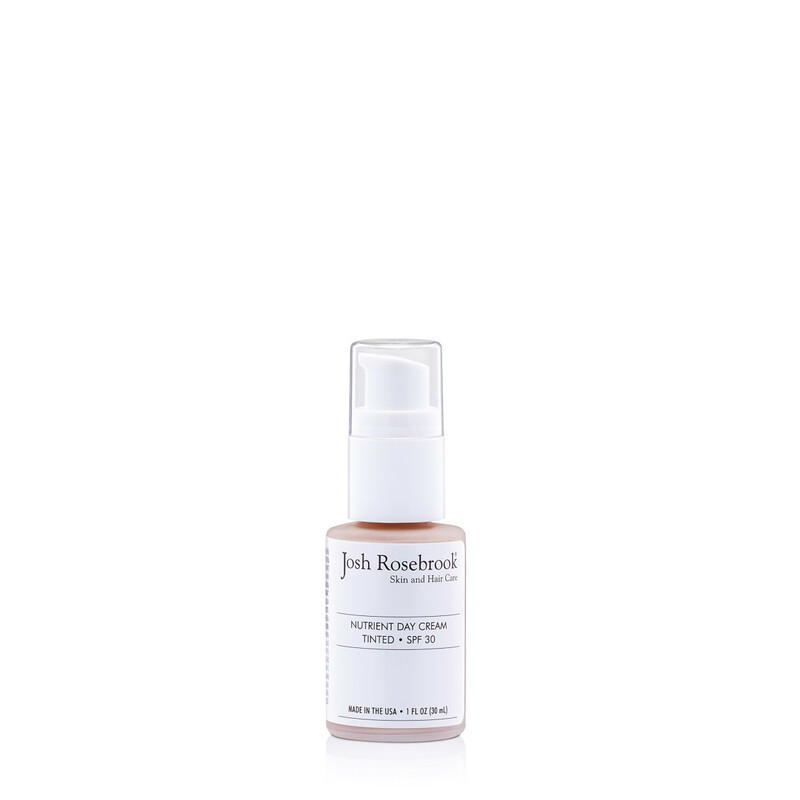 Look & Feel: light feel, semi-matte finish, diminishes appearance of spots and evens skin tone. Repair, moisturizer, protect, and glow in one step. Think of this as your anti-aging sunscreen product. Aloe-based and includes lightly hydrating natural oils to be mild on skin. It brightens and firms skin, reduces the appearance of dark spots, helps to control acne, and adds a look of luminescence. 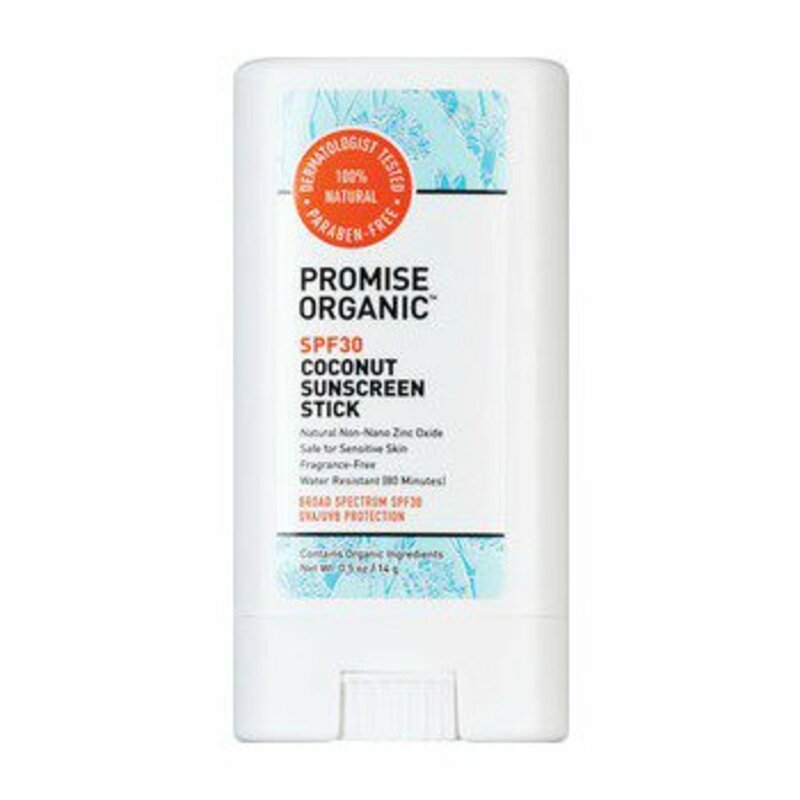 Goes on like a lightweight facial moisturizer and sinks into skin with a nice, smooth, scentless finish. 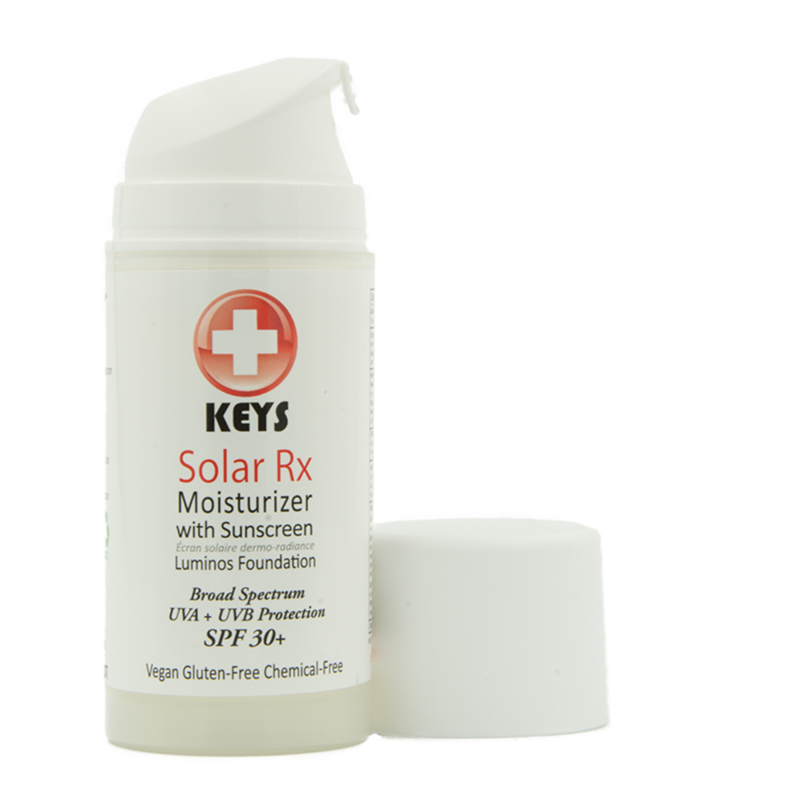 Gone are the days of having to worry your mineral sunscreen will smear white, greasy gunk all over your car seats or furniture. There are too many non-greasy, non-whitening options on the market that offer premium protection with no junk, why would we choose anything else? If you are into body oils, and who isn’t, you are going to love this product. 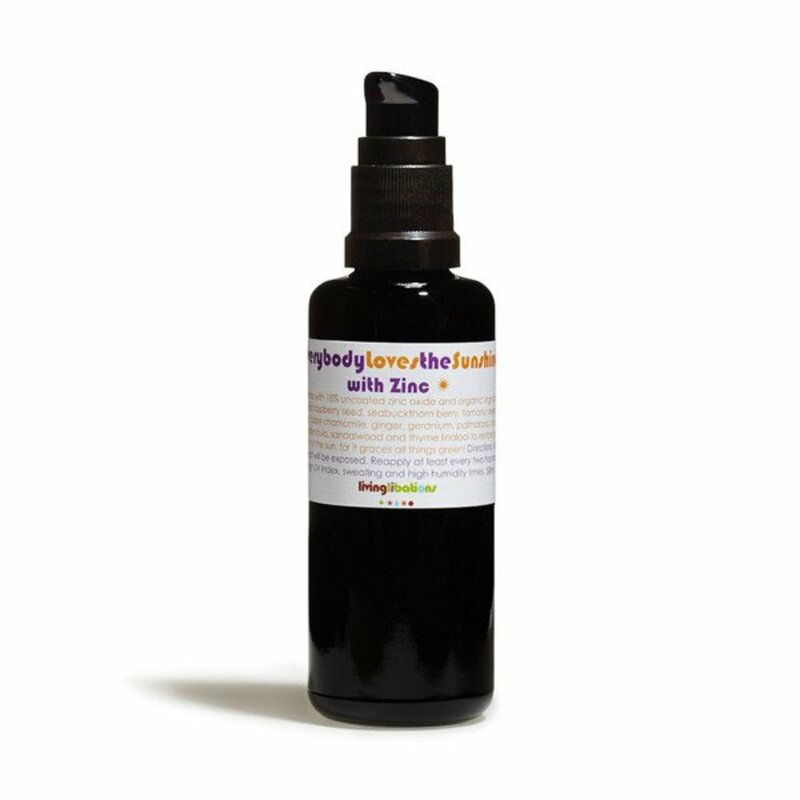 Based on its after sun body oil, Everybody Loves the Sunshine, Living Libations created the same oil blend with the addition of uncoated zinc. The beauty of this product? Natura mineral sun protection combined with healthy oils, like skin loving jojoba and natural sunscreen raspberry oil, that goes on clear in the form of a body oil. Luxurious, hydrating and anything but gloppy, gooey, or sticky. Living Libations recommends applying a few generous pumps of oil to skin, paying special attention to nose, chin, and shoulders. Reapply at least every 2 hours. We take extra care in everything we do for our little ones. Choose the healthiest foods and safest toys. Of course we are using nontoxic sunscreen on them too. Following are our favorite ultra-mild formulas that are both effective and easy to use. Remember, it is not advisable to use sunscreen on a baby under the age of 6 months. Their immature skin is more susceptible to irritation and damage from UV rays and sunscreen ingredients. Best to protect their delicate skin with clothing, hats, and shade. Are you doing more than lounging in a chaise? Sport sunscreens are designed to go the distance, with thicker formulas and water resistant benefits. For those of you who are hiking, biking, and lifeguarding, these durable and highly effective sunscreen formulas will do the trick. Remember to reapply. Yep, you read that right. This year we have a category for our favorite furry friends. If you are concerned about your pooch or kitty getting freckles and dark spots on their sniffer, you are in luck. 22. 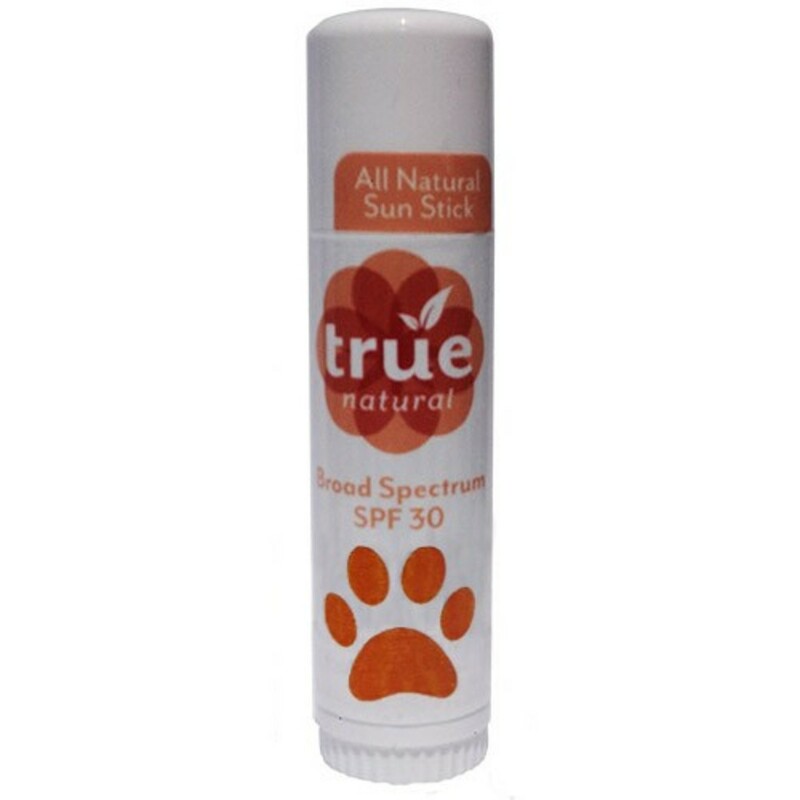 True Natural has come out with a new sun stick just for pets called * SunPup SPF30 Sunscreen Stick for Pets. So if you have a dog who likes to hike, go to the beach, or chill outside, or a cat that can’t get enough sun time, get him a tube of this healthy sun protection. Update: There are so many great products in the market. 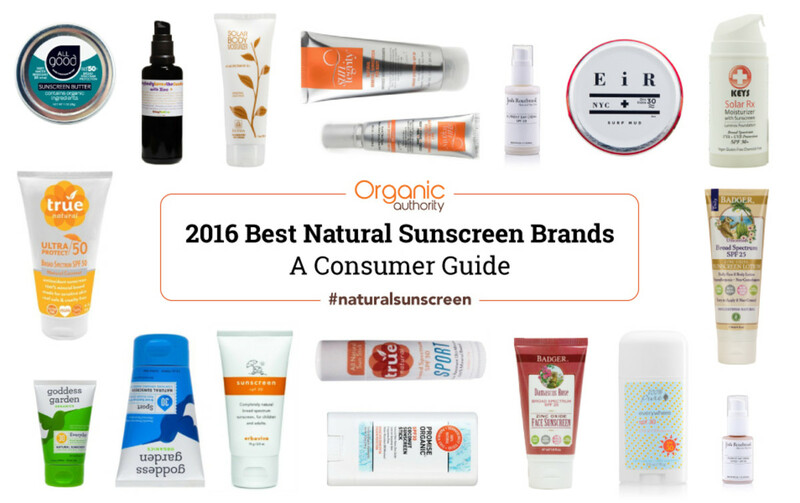 You can find our most recent guide to the best natural sunscreen products here. This doesn&apos;t mean that our older guides are obselete, as you may find many of the same brands make it on the list multiple years in a row.